Ladyblush: Knowing the variety of shoes! When it comes to shoes, women have a wide choice of different variety of footwear. Despite the vast choice one should always coordinate ones shoe choice with the type of clothes they are wearing and where they are going. These are the most widely worn shoe types nowadays. They are flat and comfortable. 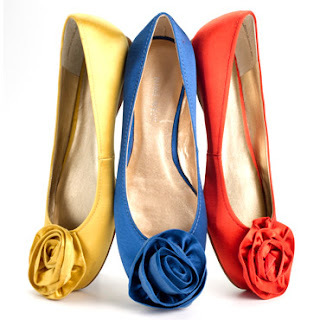 Pumps are available in all colors and designs and by almost all designers. You can wear plain, not so fancy pumps to school, university or to work. You can wear them when you are wearing jeans or dress pants. Formal pumps are also available which you can wear to dinners and parties with tights, or leggings. 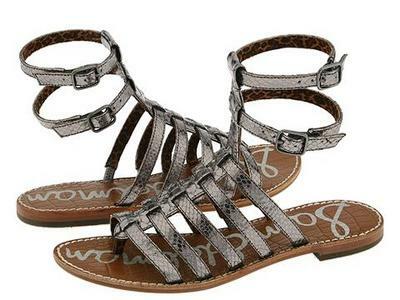 Gladiator and other sandals could be with heels or flat. 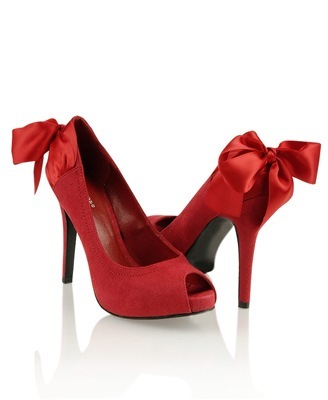 These can be with straps, bows, flowers, brooches or anything to make them look pretty. These types of shoes can be worn with almost anything, skirts, dresses, jeans or eastern suit. Never wear these with tights, formal dress pants or business suits. Tall boots or ankle boots are worn in winters. Do not wear boots is summers, especially tall boots. These are worn with jeans. Ankle boots can be worn with formal attire. These are raised shoes with heel or sole forming a solid block. These are very comfortable to wear and are in fashion these days too. You can wear them with skirts and dresses or even jeans. Do not wear casual, funky looking wedges with formal clothing. It is a moccasin type shoe for casual wear. These are in fashion these days. You can wear them with tailored pants and fold them a bit from the bottom. To complete the look tuck in a nice chiffon blouse in your pants and you are ready to go. These are shoes that have a whole in the front and toes can be seen. There are flat peep toes as well as peep toe heels. Peep toe heel look absolutely fantastic if worn with a funky dress in an evening out. Peep toe heels can be worn with business suits because they give a formal look. These are worn with formal attire like business suits and dress pants when you go for work. These are athletic shoes. When you are going for a walk, for gym or to play any sport you should wear sneakers or joggers. These are worn with track suits or sports clothing such as those made by puma or addidas.